Package includes four elegant burgundy offering bags with sculpted handles! 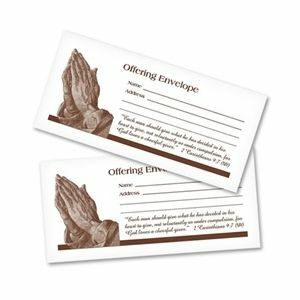 In addition, it has 1000 offering envelopes all for one low package price. Four beautiful offering bags with sculpted handles and 1000 envelopes all for one low price! This package includes four of our burgundy offering bags (CBOB132) and 1000 offering envelopes (OE003).